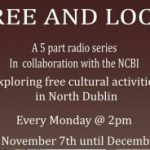 This is a five part series of programmes which offers a unique look into local historical places of interest in North Dublin, all of which one can access free of charge. The focus of the programmes is on the guided tour and the special visitors on the tour are a group of service users from the National Council for the Blind Ireland (NCBI) with different degrees of visually impairment. The visitors ask questions and interact with the guides bringing the programmes to life. Each programme finishes with a ‘round table chat’ recorded on location where NCBI participants from the tour have the opportunity to explain in detail their enjoyment and their opinions about the different visits. 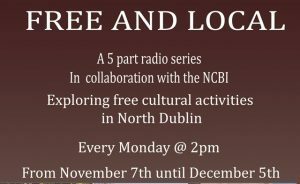 Thanks to the National Council of the Blind Ireland and all cultural venues for their support in making this series.